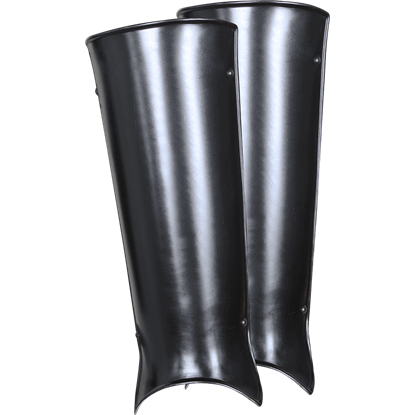 Protecting your neck and shoulders is one of the most important things medieval armour can do. 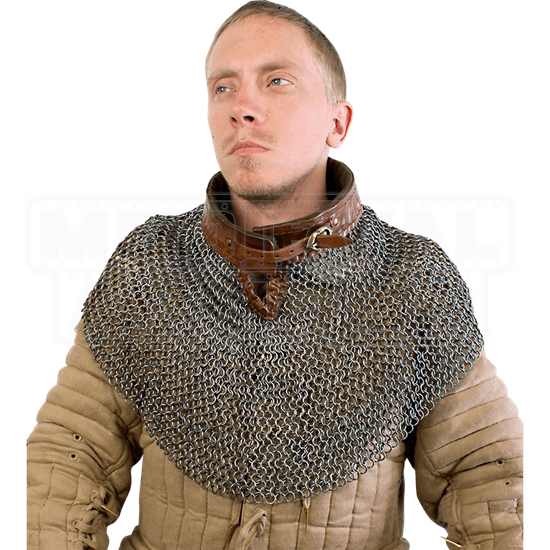 The Imperial Chainmail Mantle does just that, encircling your neck with top-grain leather that connects to a wide circle of mail. 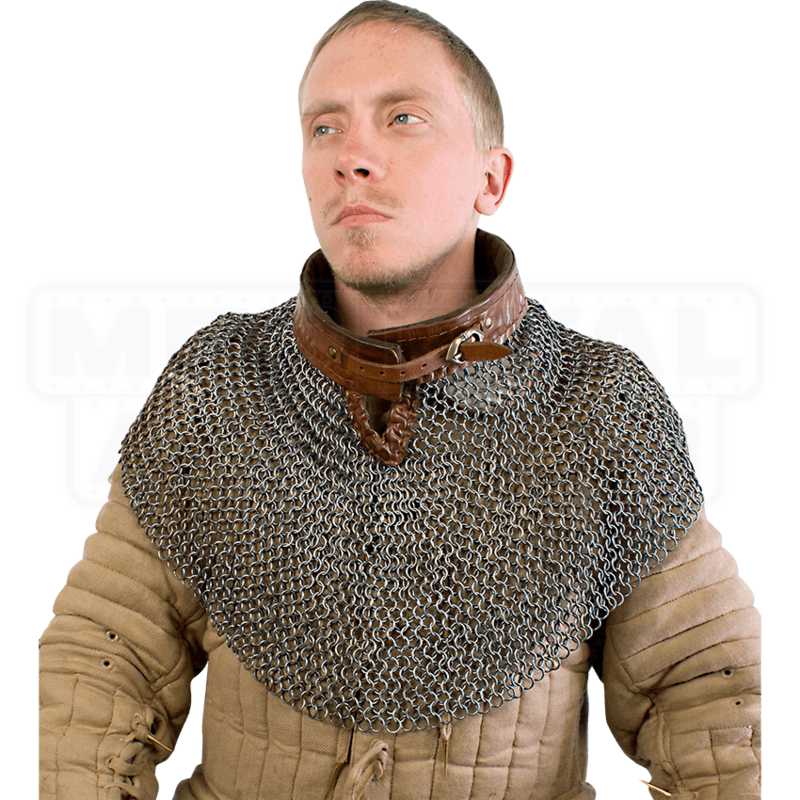 With links made from mild steel measuring 9mm in diameter and 1.6 mm thick, this fantastic chainmail mantle - also called a bishops mantle - goes great with all of your other re-enactment gear to help you craft an authentic medieval warrior look. Make sure you are protected at your next event or Renaissance fair with the addition of this Imperial mantle to your LARP ensemble.